Despite the limited exposure most westerners have to yoga, there are actually various paths in yoga that have evolved through the ages that you may not be aware of. As mentioned elsewhere on our site, yoga lays down a variety of paths to reach the state of super-consciousness or to realize one’s highest self. The meaning of yoga itself is “to unite” or “communion”. It is designed to help you understand or realize your innermost being. Yoga styles have been popularized in recent times by building upon the basic texts of Ashtanga yoga & Hatha yoga. Iyengar Yoga, Bikram Yoga, etc., are basically variations of select asanas. The Yoga Sutras of Patanjali are positioned as the complete solution for anyone who wishes to achieve the ultimate aim in human life. He lays down the principle of “Ashtanga yoga”. “Ashta” in Sanskrit means eight, “anga” means limbs or parts. Following eight limbs to be followed and practiced in life are the steps to self-realization. The first step in Ashtanga yoga is following and observing the principles to be followed in life. They are basically non-violence, honesty, truthfulness, humility, courage, etc. If you observe, these happen to be in dealing with our external world – when we interact with others. Note that this is applicable in our professional life too. One can acquire mental discipline only if one can possess these qualities. Second is personal discipline. This step is completely personal and it has to be practiced within. It includes self-study and assessing one’s own mind. Purity, contentment, endurance, faith in God etc. is included in this practice. Thirdly one strives to tame the body and its functions by practicing asanas. With the help of asanas, one can get relief from common ailments that create the distraction of the mind. Asanas or body postures done as part of yoga practice can help the practitioner to gain control over the mind. A complete physical well-being is attained with the practice of asanas. Asanas also help one to understand the parts of the body and increases physical awareness. The fourth step is – Pranayam – this is about learning to control the breath. This is practiced by controlling the breath by retaining it between inhalation and exhalation. There are different forms of pranayama to be practiced at different levels. “Puraka” is inhalation, “Rechaka” is exhalation and “Kumbhaka” is retention. Some yogis believe the fewer the number of breaths per minute, the greater the self-awareness. After pranayama, the higher levels of yogic practices start. This is usually not practiced by common people and is meant only for those who wish to lead a spiritual life. Prathyahara is that part of yoga that trains mind to withdraw the senses. Once the senses like our hands, legs, ears, nose etc. – those organs involved in doing actions in day to day life – are under control, the power of the mind increases and one gains concentration so that the mind can be trained to concentrate on what you want. Dharana is the understanding the mind. It is at this point where human concentration is expressed at its highest level…allowing one to see on more than a physical level. Pranayama is believed to activate dormant brain cells and increase the power of the mind. In the next step – Dharana, one is able to gain the concentration that comes from an integrated mind and body. Dhyana – Meditation is what is called as “Dhyana”. It is possible for you to bring the mind to focus upon whatever object you want. Usually, concentration on breathing is recommended for meditation because breathing is one of the only process that the human body does automatically but that can also be controlled. Samadhi – This is a stage where the final stage in yoga is achieved. You are not the body, the mind and intellect. You are beyond all these, one with the universe. Hatha yoga is integration of two forces – “Ha” and “tha”. “Ha” is the life force and “tha” is the mental force. Both these forces joined together keep the cells in the human body alive. It is believed that Hatha yoga was compiled in 15th century. The authoritative text on Hatha Yoga is “Hatha Yoga Pradeepika”. 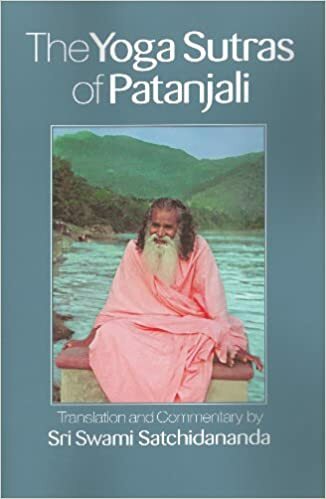 This book was compiled by a yogi called “Swatmarama”. Cleansing of the body is well explained in Hatha yoga. It is followed by the asanas and pranayama which are in the former book Ashtanga Yoga. When pranayama is practiced, the brain cells are activated. How does it happen? Regulating the breath is thought to stimulate the nerves around the spinal cord. The resultant energy or the “prana” starts flowing upward towards the brain. Hatha is also compared with the balancing of two opposite energies – positive and negative, similar to the Chinese concept of Yin and Yang. Yoga strongly believes that there exists a universal force in each living being. As an exception, human beings can experience and awaken it with the help of yogic practices. This force is called as the Kundalini. Kundalini is often compared to a sleeping serpent under the spinal cord. In males, it resides in the perineum between the urinary and excretory organs. In females it’s location is at the root of the uterus, in the cervix. As stated, the aim of yoga practices is to be one with the universal consciousness or communion. The communion happens when this kundalini force within reaches the top of the head. This force within is awakened by yogis through regular practice of asanas, pranayama, meditation, etc. Various types of pranayama when practised regularly under the guidance of a spiritual master helps the awakening of the Kundalini. Kundalini yoga is part of tantra (the esoteric path). Swadhisthana Chakra – meaning seat (Adhistana) of the self (Swa). positioned between the sacrum and coccyx. Sahasrara Chakra – Crown Chakra, position in the top of the head. The state of super consciousness is experienced once the force reaches the top of the head – Sahasrara Chakra. Somebody whose consciousness has crossed all these seven energy centers, is said to have the power of knowing the past, present and the future. One this force is awakened, the creativity, talent, and the power that was residing within rises and the mind broadens. Psychic experiences and visions start manifesting. Iyengar Yoga was founded by B K S Iyengar and is based on the Yoga Sutras of Patanjali. This yoga model evolved in the recent times, and is the best suitable one for a common person. The emphasis is more on the asanas (the body postures) along with the meditation practices and moral values to be followed in life. The steps for each asana, according to Iyengar, if practiced, one can gain perfection. His yoga modules are considered as the best for beginners and has a systematic approach to attain perfection. The alignment of the body while doing asanas is given importance as it has the power to synchronize the body, mind and the soul. This finally results in the physical and mental wellbeing. One has to follow the sequence explained as in the Iyengar yoga. Breathing exercises come next to the body postures for achieving the desired result. He started allowing beginners to use supports and props while doing the asanas. As the focus is on the precise alignment of the body, these supports would ensure that the body is aligned accordingly. The yoga asanas and sequences formulated by him are thought by some to have the power to alleviate common diseases as well as physical difficulties such as back pain, menstrual disorders, etc. Practically speaking, Iyengar Yoga is a basic form of the yoga sutras composed by Patanjali.